Helen is an IT project manager with over 14 years’ experience successfully implementing digital projects and software solutions for digital agencies, global corporations and government departments in Australia, the UK and Europe. Helen is also a successful small business owner and leveraged her web expertise to design her own website using WordPress. After living in the UK for 10 years, Helen moved back to Australia and currently works at the Australian Digital Health Agency managing websites. In her current role Helen helps the Australian Digital Health Agency bring awareness about My Health Record to the Australian public. 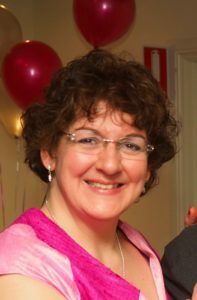 Helen is passionate about her role in actively helping people to understand a system that can positively impact our everyday lives. When Helen returned to Australia she reconnected with Fairy Fay and is honoured to work with the Natasha’s Wood Foundation to help manage the website and content. With a cousin in the military, Helen has seen first hand the challenges that a military career can have on family life and how crucial support services are for military families. When Fairy Fay asked Helen to help out it seemed like the perfect opportunity. When not helping the Australian Government build better websites, Helen enjoys all things aviation, surfing the internet, sewing, reading good books and watching well written TV and movies.